I run a small business providing web design and hosting, and we host a lot of clients. Some of our clients have special security needs and some have what we call regular brochure sites that have no need for extra security or special hosting features. I’d like to share a few tidbits of information I frequently offer when my team gets questions regarding the best type of hosting. I’ll wrap with a breakdown of the pros and cons of both shared and dedicated hosting and hopefully make your choice a clear one. 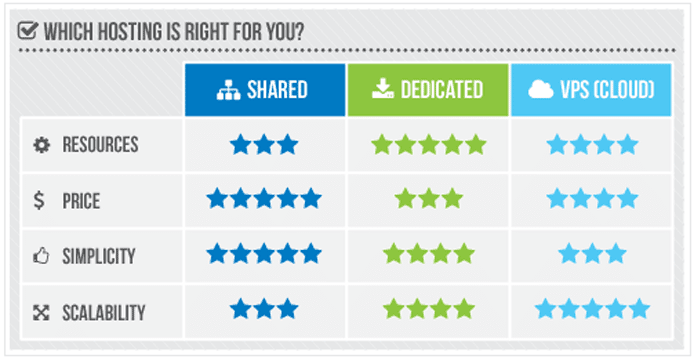 Overview: What is Shared Hosting vs. Dedicated Hosting? In a nutshell, dedicated hosting means you have an entire server — the whole machine — all to yourself. Just like renting a car and having total control over who rides with you, how fast you go, and the radio stations you blast or skip, no other websites are hosted on your server. Unlike public transportation, or in this case, shared hosting, a dedicated server is all yours. Everything is under your control — from the machine-level configurations to your control panel dashboard settings. In contrast, shared hosting means your website is located on the same server and hard drive as a whole lot of other websites. Just as when you ride the bus, you have no actual control over the machine, and you must share space with a bunch of other people. Shared hosting means you’re sharing space on one machine, whereas a dedicated server is all yours! If dedicated hosting is like renting your own car — which means you can trick it out and get where you want to go on your timetable — then shared hosting is like taking the bus and having very little control over your environment. That being said, public transportation will get you where you want to go cost-effectively. So let’s examine the options. With dedicated hosting, you’re renting the physical machine and not sharing hardware or bandwidth with any other websites. You can scale the server resources and adjust them instantly to your website traffic or application needs. You can access the server resources, review the performance, and optimize the settings as you see fit. Having a dedicated server also allows you to adjust the amount of storage and bandwidth you need on the fly, as well as access the server root. Having access to the server root and configuration is a huge benefit if you’re running applications and need to modify the environment for your application’s specific needs. Dedicated servers give you maximum control over the server software and the services it runs. In addition, you are in control of and responsible for the updates and patches to your server software. Let’s say your website is running an application that is known to have issues supporting the latest version of the web server software, but it’s compatible with the previous version. With a dedicated server, you could install any version of the software and micro-manage its individual resources. With dedicated hosting, you also have the option of selecting managed, semi-managed, or self-managed services with certain providers. These services determine how involved in your server maintenance and security you want the hosting provider to be. Each management level comes at a different price with varying services provided depending on your chosen host. Shared hosting means you’re sharing server space with other websites and individuals, providing a reliable and cost-effective way to get where you’re going at a fraction of the price. However, it doesn’t provide any of the above-mentioned custom configuration options. A shared hosting account comes with access to a control panel for your website folders, files, and applications such as WordPress or PrestaShop. From there, you can manage the most common website needs, including databases, email accounts, server logs, and (limited) server analytics. You can also create subdomains and enjoy various benefits of a standard control panel, depending on which features your host makes available. The scalability of a dedicated server is its most attractive feature for a lot of businesses. Scalability means the opportunity and room for future growth in terms of software packages, incoming and outgoing bandwidth usage, disk storage needs, database growth, and processing power. The ability to handle more traffic, transaction processing, or data storage while maintaining performance is a must-have feature for many businesses, especially when dealing with Software-as-a-Service (SaaS) or large-scale eCommerce endeavors. Most dedicated hosting services can be scaled up or down very quickly, and some hosting providers offer automated or dynamic scalability wherein your server monitors itself and adjusts the required resources based on your immediate needs. That type of scalability prevents site downtime that can be caused by a sudden influx of traffic or application usage beyond your normal bandwidth or processor needs. Once your site has outgrown the shared hosting environment, you may want to consider scaling to a dedicated server. Typically, scalability of a shared hosting account is, at best, limited to assets such as disk storage space and database size. Most shared hosting providers offer unlimited file storage, databases, and email accounts, and some offer unlimited bandwidth for a slightly higher monthly fee. But for the most part, the expansion of your website and resources it requires to run will be limited by the shared hosting environment because you are sharing those resources with hundreds or thousands of other customers. With dedicated hosting, you determine the performance level — from the server you chose to the way in which you manage it. As the only user on the server, you dictate the system resources distribution and hardware configuration. Typically, you can choose HDD or SSD storage, the number of processors, and the operating system (CentOS, Debian, Windows, etc.) you prefer. Server performance on a dedicated hosting plan is highly customizable and desirable for those who need the extra horsepower. With shared hosting, performance cannot be customized at the machine level. The difference is dramatic when it comes to performance features and options. Granted, a large number of websites do not need optimized performance to achieve their goals. Most site owners will do well with a 99.9% uptime guarantee and up-to-date hardware and software, which most prominent hosting companies offer. Still, it never hurts to ask about server specs when signing up for a new hosting account. Dedicated servers are the most secure of the three main hosting varieties: shared, virtual, and dedicated hosting. Dedicated hosting often includes DDoS protection, as well as IP address blocking, among other server-level features. In addition, you will never have the threat of server issues caused by the security holes in another hosting customer’s website code or site visitors that could affect the entire shared server hosting environment. Most dedicated hosting services also include RAID storage, or a redundant array of independent disks. Otherwise known as disk mirroring, RAID further ensures your data is safe and can be recovered from more than one location. Unfortunately, shared hosting security is far inferior compared with the security on dedicated hosting, but most business and personal websites do fine with a shared host. Most hosting providers will tell you your data is as safe as it can be in any shared hosting environment. The truth is that you are only renting a small piece of a hard disk, so you are responsible for your own website and hosting control panel security, but there is nothing you can do to prevent issues possibly caused by other users on the same server. As for the shared hosting account itself, your experience will typically be uneventful if you choose a well-known, high-rated hosting provider. Most hosting providers offer at least a 99.9% uptime guarantee, and issues caused by other users are rare outside of bandwidth hogging. Most security issues will come from within your own account — located within your own website code, a control panel setting, or both. A number of web hosts now offer a 30-day rollback, or restore, for a small fee if the unthinkable were to happen and you lose some or all of your data. Now for the question of the hour: How much does web hosting cost? Sure, it would be great to have the fastest, most secure server in the whole wide world, but there’s what we’d like and what we can afford. Am I right? While shared hosting is affordable and beginner-friendly, dedicated hosting reigns supreme for security and performance. When you’re ready to dive into the hunt for a hosting provider, be sure to review our list of recommended hosts. I recommend selecting a company that has an uptime guarantee and good support response times. Nobody likes to be on hold for an hour when their website is already having issues. If you need dedicated hosting and know it, managed services packages are often well worth the cost if only for the security patches and updates. However, if you don’t need that kind of horsepower or a dedicated server is beyond your financial means, shared hosting plans will save you a bundle and are known for serving the vast majority of web hosting customers. Comparing plans with unlimited storage and bandwidth is a great place to start. Hosts that specialize in domain hosting services tend to boast domain incentives such as a complimentary registration and support for unlimited email accounts at that domain. Most of the popular shared hosting companies will offer new customers a free domain for the first year of service, and a select few will cover the renewal fees for that domain for the life of your account with them. For those building an online presence for their brick-and-mortar, an eCommerce-specific hosting package is ideal. Features to look for include easy installations for popular apps, such as PrestaShop and Magento, easy integration with shopping carts and payment processing software, and free marketing credits to kickstart advertising for your online shop. WordPress reigns as the most popular content management system in the world, making WordPress hosting a popular choice for both beginners and web savants. The blogging software powers modest blogs, multimillion-dollar business sites, and moving photo galleries around the world. Many of the top web hosting companies have capitalized on the platform’s popularity by crafting plans suited to WordPress fans. If WordPress sounds like a strong fit for your upcoming project, we invite you to check out the hosts below. Be sure to compare WordPress-specific features, such as complimentary installations and automatic updates, as well as price and our expert ratings. Note that the plans on this list are shared hosting, but the top dedicated server plans offer WordPress hosting, too! Website builders are simple, easy-to-use website design interfaces provided by some hosts. They allow you to create your website using templates, preset color schemes, and usually a limited number of stock photos and graphics. 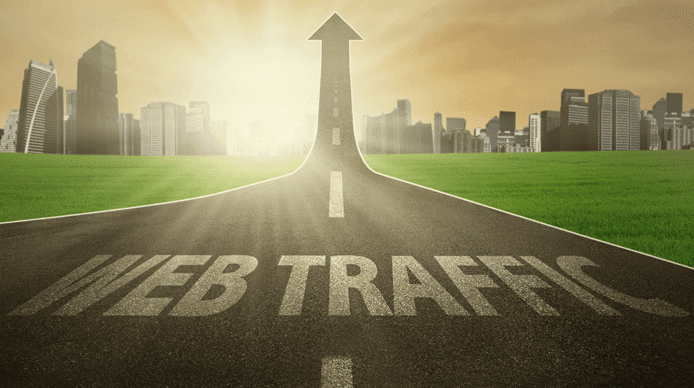 While the websites that result may come across as cookie cutter in appearance, site builders get the job done and they’re advancing every month. As technology improves and the demand for simplified site editors increases, this technology is poised to only get better. Shopping for dedicated hosting means you probably have big plans for your online business. So we’ve compiled this list of the best dedicated hosting providers based on performance, reputation, and reliability. While shared hosting serves as the launch pad for first-time site owners and dedicated servers are reserved for those who have been around the hosting block, one thing remains the same: A web host’s support is paramount. My own hosting clients understand and value personal service more than anything else, and I tend to subscribe to that point of view as well. You want to feel as if the company you choose cares about you and the successful operation of your business, no matter how small. To find a company that values your time and invests in the quality of service it’s delivering — choose from the semi-short list of hosting providers that care. Finally, the image above is that list of pros and cons I promised you. If you haven’t already, don’t forget to check out our shared hosting and dedicated hosting reviews, too. Best of luck in whichever route you choose! Questions or Comments? Ask Mark! Ask a question and Mark will respond to you. We strive to provide the best advice on the net and we are here to help you in any way we can. Mark Jefferson is an IT professional with more than 18 years of experience in various niches in the tech industry. Having done network design, server repair, programming, and design for a number of global corporations for many years, Mark now works as a freelance consultant and enjoys helping small businesses get started with a solid web presence and other technical solutions to move their business forward. He has a penchant for giving non-tech businesses and individuals a fair and thorough understanding of what they need to accomplish their goals, and he truly enjoys helping people in any way he can — in and out of the IT business world.